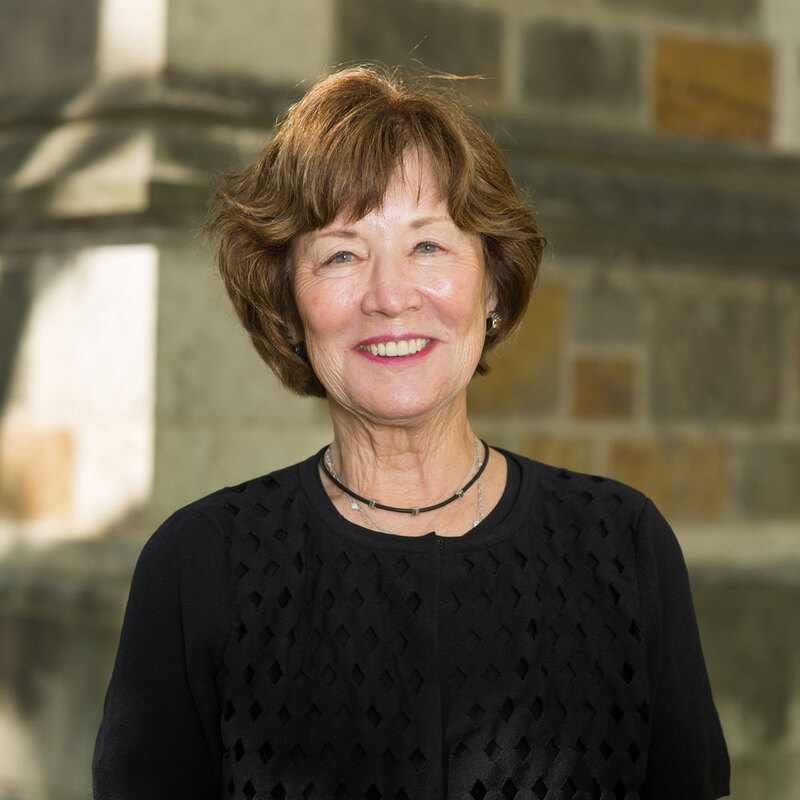 Professor Ruth Dunkle's research, teaching, and clinical practice focus on gerontology. Recent research projects include "Mothers of Adult Daughters with a Serious Mental Illness: The Experience of African Americans and Whites" and "An Historical Perspective of Social Service Delivery in Detroit in the Twentieth Century." Since 1988, Professor Dunkle has served as a project co-director of the National Institute on Aging training program, "Social Research Training on Applied Issues of Aging," with Professor Berit Ingersoll-Dayton. She also serves as co-director of the Geriatric Fellowship Program with Letha Chadiha. Professor Dunkle recently wrote a book on the oldest old, which examines their future time perspectives and their coping strategies in dealing with the changes in their physical and psychological functioning, and which identifies relevant service delivery strategies for improving the quality of their lives. Clinical gerontology, service delivery to the elderly, the oldest old, coping and service deliver strategies for the elderly, racial and ethnic variations in caregiving to the elderly. Zhang, A., Kong, D., Jiang, L., Sun, F., Dunkle, R., & Liu, C. (in press). Psychosocial services for Anxiety and Depression in Chinese older adults: A systematic review and meta-analysis of controlled trials. The Gerontologist. Dunkle, R., Perone, A. K., & Dennis, M. K. (2017). Social Work. In J. B. Halter, J. G. Ouslander, S. Studenski, K. P. High, S. Asthana, M. A. Supiano, C. Ritchie, & W. R. Hazzard (Eds. ), Geriatric Medicine and Gerontology (7th ed.). New York: McGraw Hill. Kim, M. H., Dunkle, R. E., Lehning, A. J., Shen, H. W., Feld, S., & Perone, A. K. (2016). Caregiver stressors and depressive symptoms among older husbands and wives in the United States. Journal of Women and Aging. Cothran, F. A., Farran, C. J., Barnes, L. L., Whall, A. L., Redman, R. W., Struble, L. M., Dunkle, R. E., & Fogg, L. (2015). Demographic and socioenvironmental characteristics of black and white community-dwelling caregivers and care recipients' behavioral and psychological symptoms of dementia. Research in Gerontological Nursing. Balestrery, J., Chadiha, L. A., Dunkle, R. E., & Ingersoll-Dayton, B. (2015). The social relationships and support of aging mothers whose daughters are mentally ill. Journal of Family Social Work, 18(2), 123-140. Dunkle, R. E., Ingersoll-Dayton, B. & Chadiha, L. A. (2015). Support for and from aging mothers whose daughters are seriously mentally ill. Journal of Gerontological Social Work, 58(6), 590-612. Park, S. Dunkle, R. & Smith. J. (2015). Aging-in-place of vulnerable older adults: Person-environment fit perspective. Journal of Aging Studies, 36(11), 1327-1350. Cothran,F., Farran, Barnes, L., Whall, A.,Redman, R. Struble, L. ,Dunkle, R., & Fogg, L. (2015). Demographic and socio-environmental characteristics of black and white community-dwelling caregivers and care recipients; behavioral and psychological symptoms of dementia. Research in Gerontological Nursing, 8(4), 179-87. Lehning, A. J., Smith, R. J., & Dunkle, R. E. (2014). Age-friendly environments and self rated health: An exploration of Detroit Elders. Research on Aging, 36, 72-94. Bakk, L., Woodward, A., & Dunkle, R. E. (2014). The Medicare Part D coverage gap: Implications for non-dually eligible older adults with a mental illness. Journal of Gerontological Social Work, 57(1), 37-51. Park, S., Smith, J., & Dunkle, R. E. (2014). Social network types and well-being among South Korean Older Adults. Journal of Aging and Mental Health, 18(1), 72-80. Dunkle, R. E., Feld, S., Lehning, A., Kim, H., Shen, H., & Kim, M. H. (2014). Does becoming an ADL spousal caregiver increase the caregiver's depressive symptoms? Research on Aging, 36(6), 655-682. Dunkle, R., Ingersoll-Dayton, B. & Chadiha, L. (2013). Support in three generation families in the face of mental illness. Journal of Gerontological Social Work, 13, 299. Matthews, S. H., & Dunkle, R. E. (2013). Lessons from history: Surviving old age during the Great Depression. Journal of Aging Studies, 27(4), 464-475. Lehning, A. J., Kim, M. H., & Dunkle, R. E. (2013). Facilitators and barriers to home and community based service use by urban African American elders. Journal of Aging and Health, 25(3), 439-458. Lehning, A. J., Smith, R. J., & Dunkle, R. E. (2013). Do age-friendly characteristics influence the expectation to age in place? A comparison of low income and higher income Detroit elders. Journal of Applied Gerontology. Smith, R. J., Lehning, A. J., & Dunkle, R. E. (2013). Conceptualizing age-friendly community characteristics in a sample of urban elders: An exploratory factor analysis. Journal of Gerontological Social Work, 56(2), 90-111. Ingersoll-Dayton, B., Dunkle, R. E., Chadiha, L. A., Lawrence-Jacobson, A., Li, L., & Weir, E. (2011). Intergenerational ambivalence: Aging mothers whose adult daughters are mentally ill. Families in Society, 92(1), 114-119. Feld, S., Dunkle, R. E., Schroepfer, T., & Shen, H. W. (2010). Does gender moderate factors associated with whether spouses are the sole providers of IADL to their partners? Research on Aging 1-28. Lee, I., & Dunkle, R. (2010). Worries, psychosocial resources, and depressive symptoms among the South Korean oldest old. Aging and Mental Health, 14(1), 57-66. Dunkle, R. & Dennis, M. K. (2009). Social work. Principles of Geriatric Medicine and Gerontology (6th ed.). Sung, K. T., & Dunkle, R. E. (2009). Roots of elder respect: Ideals and practices in East Asia. Journal of Aging, Humanities and the Arts, 3(1), 6-24. Sung, K. T., & Dunkle, R. E. (2009). How social workers demonstrate respect for elderly clients. Journal of Gerontological Social Work, 52(3), 250-260. Jeon, H. S., & Dunkle. R. E. (2009). Stress and depression among the oldest-old: A longitudinal analysis. Research On Aging, 31(6), 661-687. Dunkle, R. E. (2008). The oldest old. In D. Carr (Ed. ), Encyclopedia of the Life Course and Human Development.